In classical times, the Romans distributed sugared almonds as gifts to great men at public and private events. In the mid-1700s, the Franciscan Padres planted almond trees to grace their missions along El Camino Real (The Royal Road) that stretches along the California coast from San Diego to Sonoma. The almond is botanically a stone fruit related to the cherry, the plum, and the peach--The Great Food Almanac, Irena Chalmers. 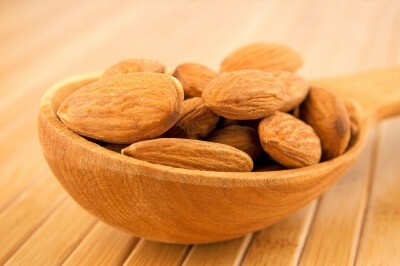 Tim Allen, handyman and leading actor of the hit television sitcom, Home Improvement, confessed to Oprah Winfrey that his favorite thing to snack on is hickory smoked almonds--Oprah Winfrey Show, "Favorite Things," Memorial Day, 1997. Cinnamon-glazed almonds were President Clinton's snack of choice at both the 1993 and the 1997 inaugurations. According to French Novelist, Colette: "Don't eat too many almonds, they add weight to the breasts"--The Great Food Almanac, by Irena Chalmers. Over 90 nations import California almonds, with Germany and Japan at the top of export consumption. 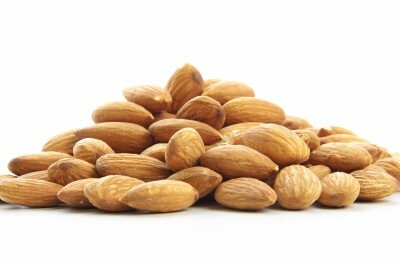 Almonds were introduced to California in the mid 1700s. The state's 6,000 almond growers produce 100 percent of the commercial domestic supply and 80 percent of the world's supply. 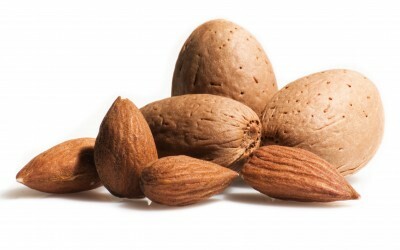 Almonds are California's largest tree nut crop in total dollar value and acreage, and the seventh largest food export market.